A truck jackknifed and rolled at Corinda on Friday afternoon, forcing the road to be closed for hours while emergency crews cleared the scene. 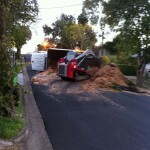 The truck was carrying a load of sand which spilt all over the steep street. 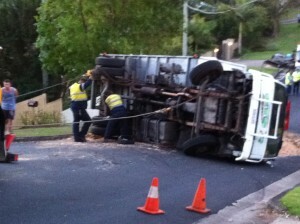 Senior Constable David Low of Sherwood Police said the accident on Dewar Terrace was caused when a driver lost control of his vehicle trying to haul a heavy load up a hill. 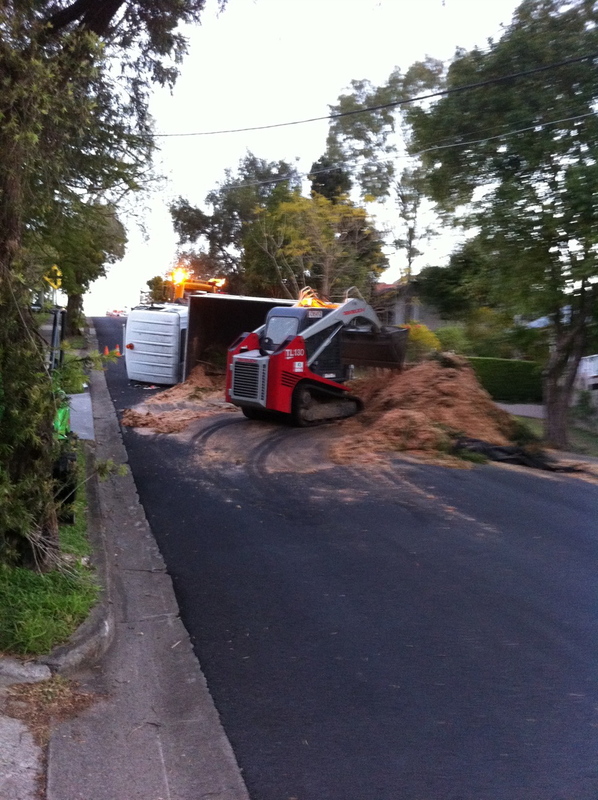 “It’s a really steep hill and with his trailer on he couldn’t make it to the top,” Sen Const Low said. While an emergency crew used chains to right the vehicle, a bobcat cleared the sand from the road. Sen Const Low said the driver was not hurt and investigations into the accident were continuing. Dewar Terrace was last month listed among Brisbane’s steepest streets. According to a list released by Brisbane City Council the street – a major link road in Sherwood and Corinda – has an incline of 1 in 4.8, an 11.8 degree angle and a 21 percent slope.